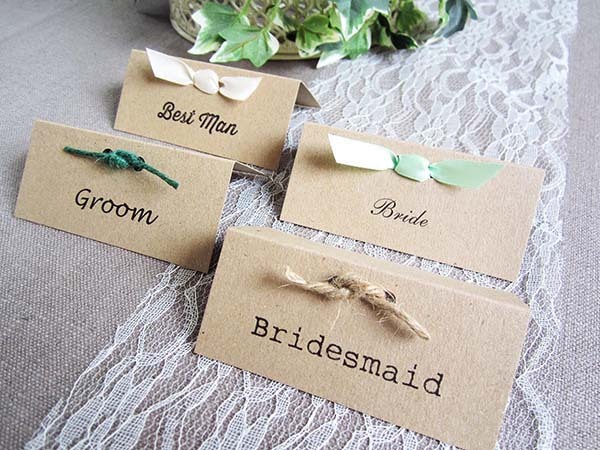 We just love the ‘Tying the Knot’ wedding theme and there are some great ways to add rustic twine, string and knots to your wedding stationery suite. We have just added one idea along this theme to our shop. 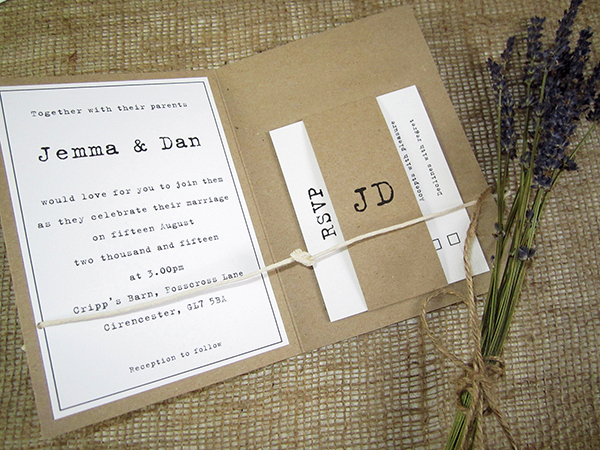 ‘We’re Tying the Knot’ is a rustic wedding invitation design by SJ Wedding Invitations in London, made with Kraft card and with a knotted string or rustic so that when your guests open the card they are literally ‘tying the knot’. On the interior, the wedding invitation details are printed on white or cream card on the left hand side with a the RSVP on the right hand side held in place with a Kraft card band bearing the bride and groom initials. We love these ‘Tie the Knot’ wedding invitations by ‘Something New’. These rustic slip-wallet style invitations would be perfect for a countryside or barn wedding. 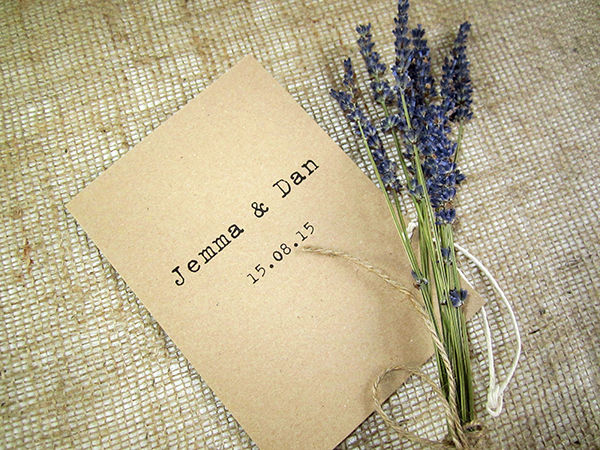 Printed on 100% recycled card and finished with knotted natural jute twine.